Size: -- Choose Size -- 68" 71" 74"
Nature's Best Yoga Mat Great Grip - open cell natural rubber provides optimum grip Comfortable - natural rubber has more resilience and cushion Made in the US with natural rubber, a renewable resource and contains no synthetic plastics. Through its partnership with Trees for the Future, JadeYoga plants a Tree with every mat sold. IMPORTANT: Please note that the only authorized amazon seller of JadeYoga mats is the seller JadeYoga. Do not buy from other sellers as our warranty and return policies do not apply to purchases from other sellers. Jade Yoga's most popular premium mat, the Jade Harmony Professional 3/16-inch mat offers a perfect balance of traction and cushion. Jade mats are made with open-cell, natural rubber, which is well known for offering terrific slip-resistance. As a result, you no longer have to worry about slipping on your practice mat--even if it gets wet with perspiration. Jade mats also offer exceptional resilience, unmatched compression-set resistance, and incomparable cushioning, so you'll stay comfortable with every pose. And because natural rubber is a renewable resource tapped from rubber trees, the company's mats contain no PVC or ozone-depleting substances. Jade mats--which are made in the U.S. in compliance with all U.S. environmental and labor laws--are perfect for the yogi concerned about the Earth. Jade Yoga also plants a tree for every mat sold in partnership with Trees for the Future. The Harmony Professional comes in 68- and 74-inch lengths and is available in a variety of colors. The Jade can be hand washed with mild soap and warm water, and then hung or laid flat to dry out of direct sunlight. 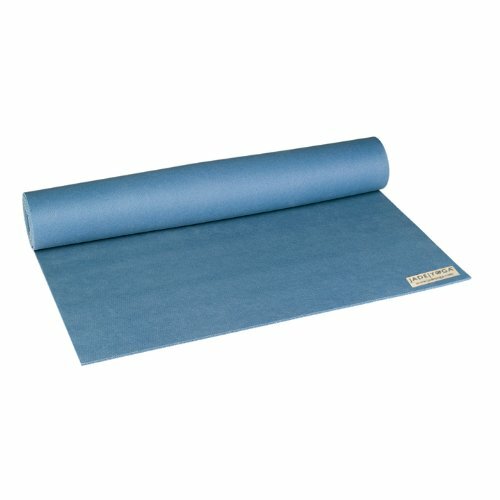 In a way, Jade Yoga began long before launching its first purple and blue Harmony yoga mats in 2002. Jade Yoga grew out of Jade Industries, a company that had been making non-slip natural rubber rug pads for area rugs since the early 1970s. For many years, Jade Industries also sold rug pads to select yogis in the area for use as yoga mats. As the story goes, rug mats first attracted the attention of yogis after B.K.S. Iyengar--who was in the U.S. doing a yoga demonstration on an oriental rug--asked a student to remove the rug after slipping repeatedly. Under the rug sat a rug mat, and the first yoga mat was born. 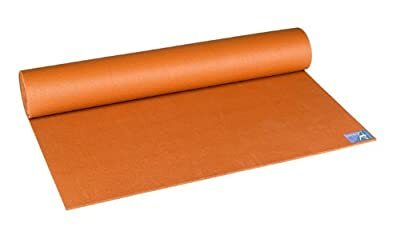 Unfortunately, most yoga companies started making mats of cheap, imitation plastic or PVC instead--annoyingly slippery surfaces that were close to useless for many practices. Jade Yoga began in earnest in 2000 after it was approached by a savvy yogi who described the problem with these plastic and PVC mats. 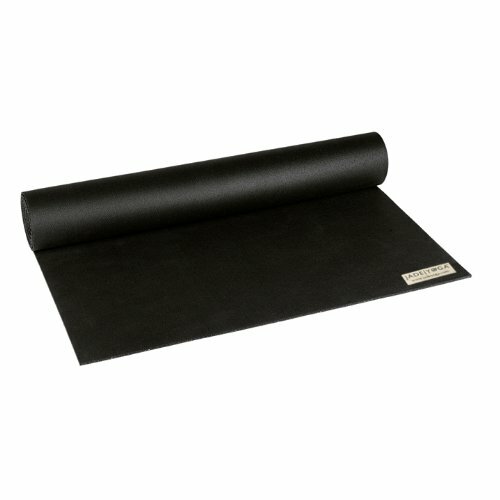 As Jade Industries were already making natural rubber rug pads, the company approached the problem from that angle and developed the Harmony, the first natural rubber yoga mat. Located in Conshohocken, Pennsylvania, Jade Yoga has a number of products in the pipeline that align with the company's vision of producing high-quality products in an way.